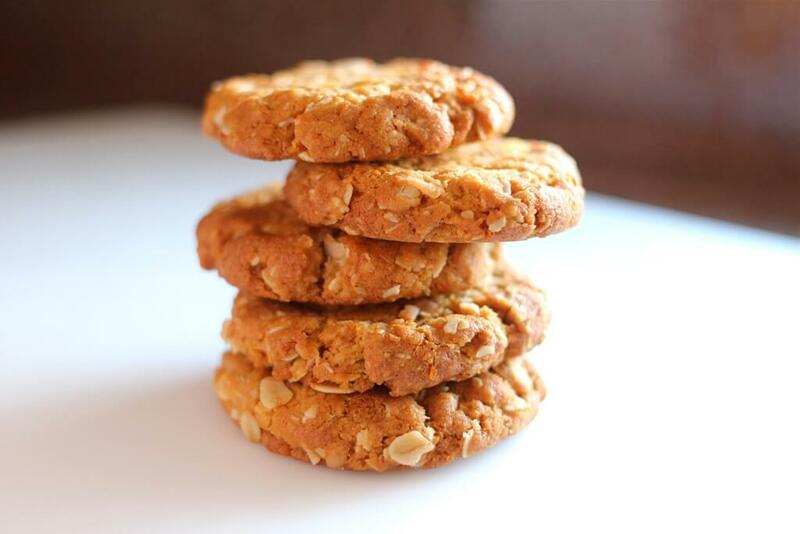 To some, the ANZAC biscuit is a treat that was sent to Australian and New Zealander soldiers by their wives during World War I. The biscuits could last the long journey by ship as the ingredients used do not easily spoil. To me, however, the ANZAC biscuit represents my first foray into The Kitchen. It all started in a food technology class circa 1999. I was 12 years of age (late bloomer) and had just baked a brilliant batch of ANZAC biscuits that scored a stupidly enthusiastic mark. Proud of my achievements, I took my new found culinary skills to the domestic kitchen. My mother looked skeptical and my father offered words of faux encouragement. ‘Mashallah, you will be a cook and a lawyer,’ he said, without maintaining eye contact (I never amounted to either; sorry Baba). Getting cocky, I set out to double the recipe so that I might share the biscuits with my grandparents and neighbouring aunts and uncles. It soon became apparent that my mathematical inabilities were a hindrance to my amazing talent in the kitchen. Instead of doubling the bicarbonate soda quantity I quadrupled it, rendering any chance of edibility void. My family of five shared one biscuit between them, claiming they couldn’t possibly eat another bite (without throwing up). And thus, I was dubbed Domestically Incapable. According to the Internet, if this mishap occurs then you should just increase all of the other ingredients to match the bicarbonate soda ratio. How logical. This recipe makes 25 to 30 biscuits (hopefully more edible than my 1999 batch). Enjoy! 2. Mix oats, flour, sugar and coconut. 3. Melt golden syrup and butter in a saucepan over a low heat. 4. Mix bicarb soda with water and add to the butter and golden syrup. 5. Add oats, flour, sugar and coconut and mix well. 6. Line baking tray with non-stick baking paper. 7. Use a tablespoon to transfer the mixture onto a baking tray. Each biscuit should be about 7cm in diameter. 8. Bake for eight to ten minutes (or until a deep brown). 9. Remove from oven and allow biscuits to cool before serving.